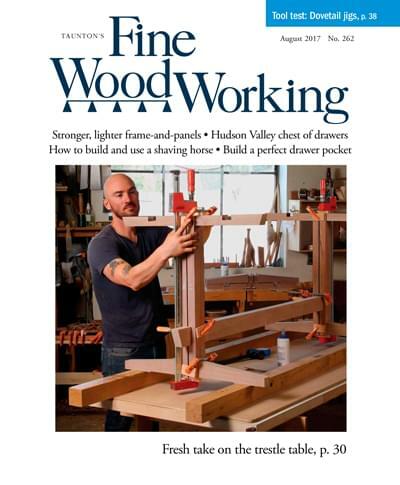 Fine Woodworking is a bimonthly magazine for all those who strive for and appreciate excellence in woodworking, veteran professionals and weekend hobbyists alike. We are a reader-written magazine, relying on skilled woodworkers to share their practical experience and knowledge. We’re always looking for articles on almost all aspects of woodworking, from the basics of tool use, to stock preparation and joinery, to specialized techniques to finishing. We’re especially keen on articles about shop-built tools, jigs, and fixtures as well as cabinetry and furniture in or any stage of design, construction, finishing, and installation. Whether the subject involves fundamental methods or advanced techniques, we look for high-quality workmanship, thoughtful designs, and safe and proper procedures. 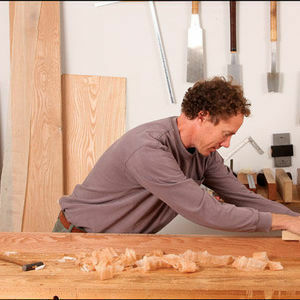 Our readers prefer how-to articles to profiles of individual woodworkers and their body of work. We do not require our authors to be experienced writers or photographers. 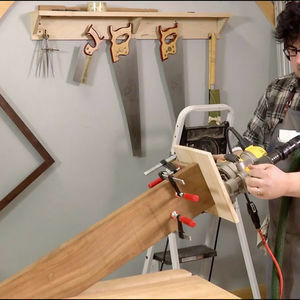 Our editors are woodworkers themselves and have experience working with first-time authors. We’ll do everything we can to make this a smooth and pleasurable experience for you. 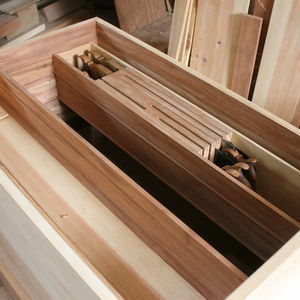 If you’d like to write an article for Fine Woodworking, start by sending us a proposal. Summarize your topic and point of view in a few paragraphs that outline the material you plan to cover in the article. Include a paragraph about yourself and your woodworking background. The better the quality of the visual information you can supply — both photographs and drawings of work in progress — the better we will be able to appreciate your ideas. But don’t worry if the images are not publishable quality; they will be re-shot or re-drawn professionally if we decide to publish your article. Finally, please include a self-addressed stamped envelope large enough to hold all the materials you send. We’ll take good care of everything, and we’ll return it all at the appropriate time. Once we’ve received your proposal, we’ll send you a letter to acknowledge its arrival. You’ll hear from us again within a month or two, with a decision about whether we want you to go ahead with the article. If we do, a staff editor will be assigned to work with you, and this editor will be your primary contact with the magazine. You and the editor will discuss and agree on an outline for the article, as well as a deadline for a first draft. Remember, though, that final acceptance of your article depends on whether we can use your manuscript. What makes Fine Woodworking special is that most of our articles are written by people who actually do the work they write about. Therefore, we’re more interested in your experiences, point of view, and technical expertise than in your writing style or ability to provide grammar-perfect English. But even so, there are a few things to keep in mind when writing for us. First, stick to the outline that you and your editor agreed upon. If you want to reorganize it or add new information, let your editor know what you’re up to. As far as the writing goes, it’s best to adopt an easy, conversational style, as if you were describing something to a friend in a letter. Be sure to define any terms you think might be obscure or specialized; not everyone will have a specialized knowledge of your subject. Note any particular tools, hardware, or materials that played a part in your operation or project. And be sure to provide us with the product names, along with the manufacturer’s name, current address, and telephone number. Strive to explain technical procedures in clear, simple sentences, and organize your flow of ideas logically. If you’re trying to describe parts, operations, or assemblies that are hard to verbalize, don’t hesitate to use a drawing. Sketches should be clear but don’t have to be works of art; an artist will redraw anything that we decide to use. Drawings should be supplied with dimensions and labeled so that the visual information is correct and complete. If appropriate, include sources of supplies (complete with up-to-date addresses) or a list of books for further reading. We’ll also need your Social Security number for payment purposes, so please send it along with your manuscript. We prefer to receive your manuscript electronically. Either email the document file to the editor or send a CD. Alternatively, type your manuscript on double-spaced lines. After your manuscript has been received, the editor may ask you to supply additional information or to rewrite or revise sections of your manuscript. The editor will try to be sensitive to your writing style and retain as much of the character of the original writing as possible. If any major changes are warranted, or if we have doubts about changes we’re considering during the editing process, your editor will call you to discuss the matter. Remember that changes to your writing made by the sponsoring editor are done in the interest of making your writing more effective and accurate, to make for the best possible presentation of your ideas. After your manuscript has been edited, we’ll mail or email you a printout of the edited version of the text so that you’ll have a chance to review it before it goes to press. Read it carefully and check the text for technical accuracy, typos, and errors in facts. Make sure your editor hasn’t inadvertently misinterpreted your original material. Also, answer any questions the editor has included on the printout. Please try to limit your changes to repair of facts; this isn’t the time for rewriting the entire article. If your article includes complex drawings, you may also receive the artist’s pencil drawings for corrections; please check these for accurate dimensions and labels as well. Call your sponsoring editor at 1-800-926-8776 as soon as possible to discuss changes. Small additional changes are typically made by the editors after author’s corrections. These changes are usually minor and are necessary to fit the manuscript into the page layout. To ensure that an article will be accompanied by high-quality images, our editors usually visit authors and take most of the photographs. Our editors are trained photographers who are capable of getting photos that accurately support the processes and projects described in the text. A visit also gives an author a chance to meet the editor and work out any details involved in preparing the article. For project articles that involve building a piece of furniture, we rarely will ask you to build the piece from start to finish: We will work with you to select and stage certain process shots to visually convey the most important operations described in the article. By the way, don’t worry about writing photo captions — your editor will prepare those as the article is edited. While we may occasionally photograph finished pieces during a visit, we more commonly hire a professional, as it’s much more complex to shoot finished work than just process photos. We may ask to borrow small finished pieces (such as a jewelry box, a turning, jigs, and fixtures) or tools to photograph at Taunton’s photo studio. If you already have high-quality (or professionally shot) photos of your work, we’ll consider using them. High-resolution digital images are best for magazine reproduction, but we can work from original color transparencies (slides) or negatives, if need be. Unless you tell us otherwise in writing, we assume that any photographs and drawings you supply with your article belong to you and can be covered in a copyright agreement for our use. If a professional photographer owns the copyright to photos of your work, we’ll need to sign a copyright agreement with the photographer separately, in which case you will need to supply the address and phone number of the photographer. Our basic rate is $150 per published magazine page. We’ll also reimburse you for out-of-pocket expenses, such as shipping or courier charges, and for materials purchased for making samples or building projects specifically for the article. All requests for reimbursement must be accompanied by a photocopy of your dated receipts (the IRS says you should keep the originals). Any other reimbursements must be cleared with us in advance. The exclusive right of first publication of the material in one medium such as print, web, or electronic. The non-exclusive right to republish the material or any portion of it in any format and in any medium. The right to edit the material as we deem appropriate. As author, you retain all other rights, including the right to publish the text elsewhere 90 days after it has appeared in Fine Woodworking. Once you sign the copyright agreement and return the original to us, we’ll send you an advance of $150. We’ll pay the balance close to publication. We’ll also send you two complimentary copies of the issue in which your article appears. We don’t schedule an article for publication until we have an acceptable manuscript in hand. And because we have to schedule our issues almost a year in advance of publication, it may seem as though we’re asking you to hurry up and deliver your material only to have you wait to see it in print. Putting together the best possible magazine from available material means juggling the mix of articles for a given issue, often right up to our publication deadline. We think the results are worth waiting for, and we appreciate your understanding and patience in the meantime. You are always welcome to call your editor to find out how things are going. Please note that by signing a copyright agreement with you, we do not guarantee publication of your article. Even if we schedule the article for a specific issue, our editorial needs and direction sometimes change. Therefore, we reserve the right to decide later not to publish your article, but that rarely happens. If it does happen, the advance will serve as a “kill fee,” and the material will be returned to you. You will be released from the copyright agreement, freeing you to sell the story to another magazine. In addition to our articles, Fine Woodworking features a number of regular departments, including Workshop Tips, Finish Line, Tools & Materials, and A Closer Look. We invite you to contribute to these sections of the magazine as well. Be sure to address all submissions to the appropriate department, in care of Fine Woodworking. 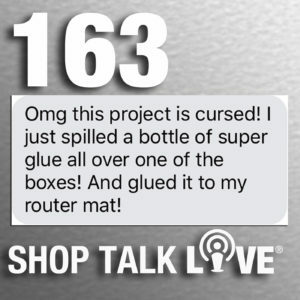 Workshop Tips submissions, which include Quick Tips, don’t require a proposal first; just send us your idea about an innovative jig, shop device, tool design, or mode of operation, including rough sketches and photos. We’ll pay $100 for each method we accept, $50 for quick tips. 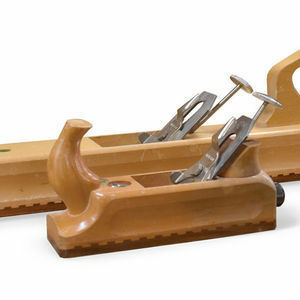 Tools & Materials features short reviews of new woodworking tools and gadgets. We prefer that you first contact us with ideas for tools to review and then let us make the arrangements. Payment for Tools & Materials reviews is prorated from our standard page rate of $150 per page. If you need more copies of the issue your piece appears in, you are entitled to purchase additional copies at a discount of 50% off the cover price (plus shipping). Reprints of an individual article are available only by request, are run on heavier paper than the issue, and can be produced any time after the issue has been printed. Reprints are fairly expensive to produce (you must order a minimum of 500 copies), and they take about a month to complete. If you’d like more information about reprints, please call 1-800-926-8776, ext. 3417. Thank you for your interest in Fine Woodworking magazine. If you have any further questions, feel free to call us toll free at 1-800-309-8955.